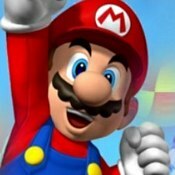 Description: Mario Adventure will go down as being one of the best Mario Boot Leg games ever created. Really this is top notch high quality, fun and perfect level design. They should have replaced SMB2 with this one lol, really that's how good it is!